RICK STEINER served as a marine conservation professor with the University of Alaska from 1980-2010, stationed in the Arctic, Prince William Sound, and Anchorage. 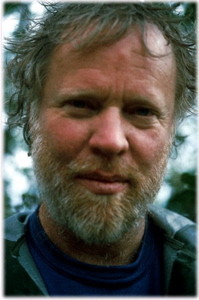 He was responsible for the University's conservation and sustainability extension effort, and was producer/host of the Alaska Resource Issues Forum, a public television program on controversial natural resource issues. He advised the emergency response to the Exxon Valdez Oil Spill in 1989 and helped found the Regional Citizens Advisory Councils and the Prince William Sound Science Center. He advises the UN, governments, NGOs, and industry on oil spill prevention, response, assessment, and restoration. Steiner learned about oil spills the hard way -- in Valdez Harbor. He learned about academic politics the same way, losing federal grant funding for outspoken criticism of the oil industry.